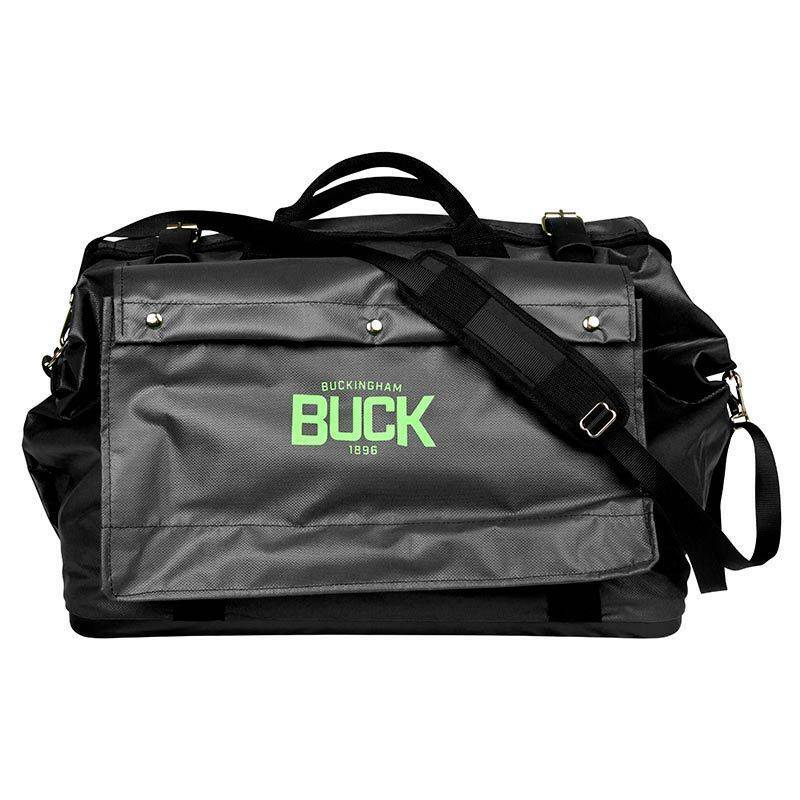 The Buck Big Mouth Bag is a new and improved equipment bag with an extended wide mouth (15 ½” x 22”) to make it easier and faster for workers to store all of their PPE, gear, tools, and other items in their bag with ease. 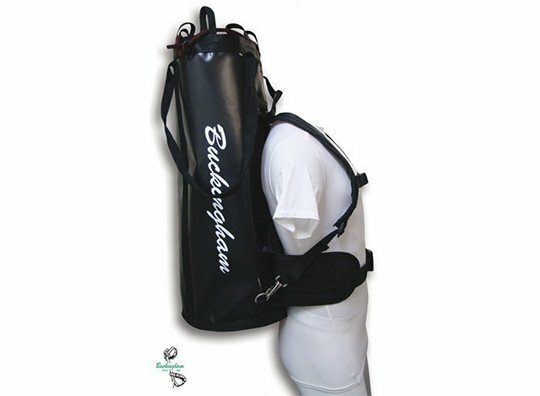 The Buck Big Mouth Bag is a new and improved equipment bag with an extended wide mouth (15 ½” x 22”) to make it easier and faster for workers to store all of their PPE, gear, tools, and other items in their bag with ease. No more struggling to get your essentials into your bag and no more fighting to get it closed. A heavy vinyl coated nylon construction. 2” molded rubber lip that prevents water from seeping into the bottom of the bag. Durable for all types of weather conditions. 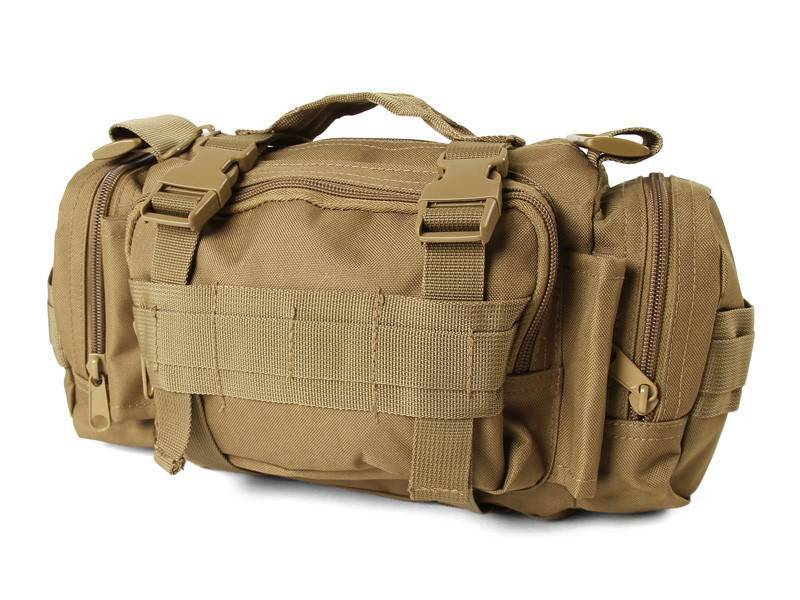 Adjustable shoulder strap with pad for comfort. Two side pockets with one featuring elastic tool holders for organization. Top grain reinforced leather straps that are double riveted. Industrial weight nickel plated snaps on pockets. 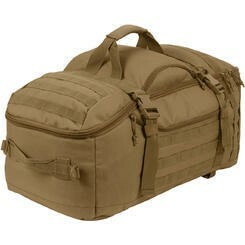 Heavy duty nylon web handles sewn around the bag for accessible carrying. 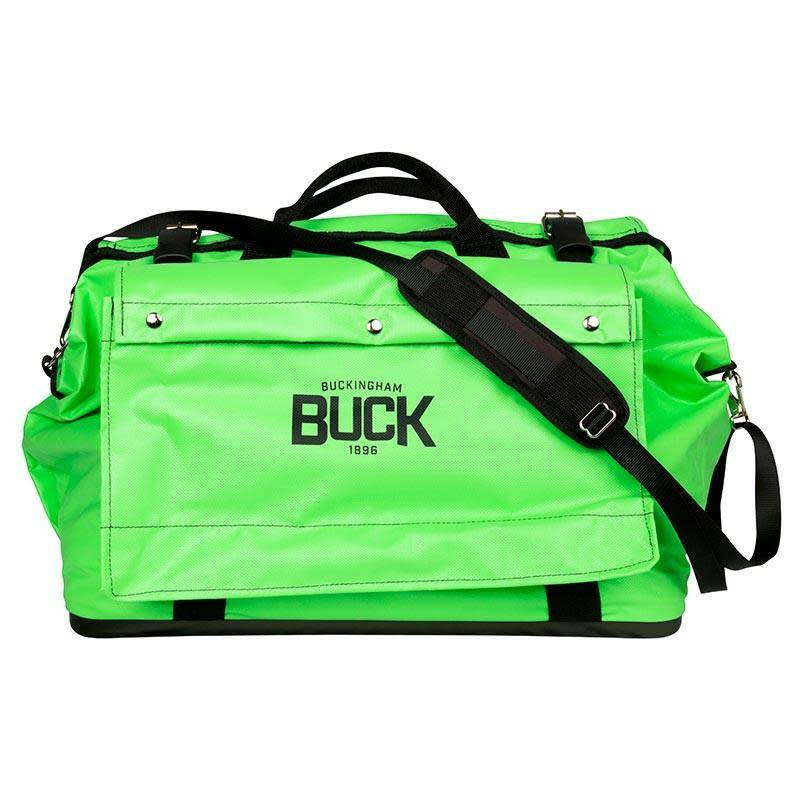 *Purchase the hi-vis version of the Buck Big Mouth Bag with part #47333G9R5S.